Time Warp and Welcome to the Future are joining forces to revive one of the most iconic warehouses of Amsterdam. With a streak of events spanning every night of ADE, each with its own line up and going on until 08:00 in the morning, this is the sounds of Studio 80 Warehouse. 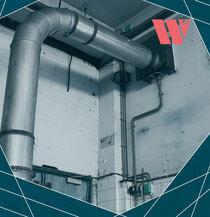 Warehouse parties provided the first real places for the early ravers to get together and dance the nights away. In Amsterdam, one of the key spaces back in the day was located at the Elementenstraat near Amsterdam Westpoort and you can still feel the parties pulsing through the building’s veins. 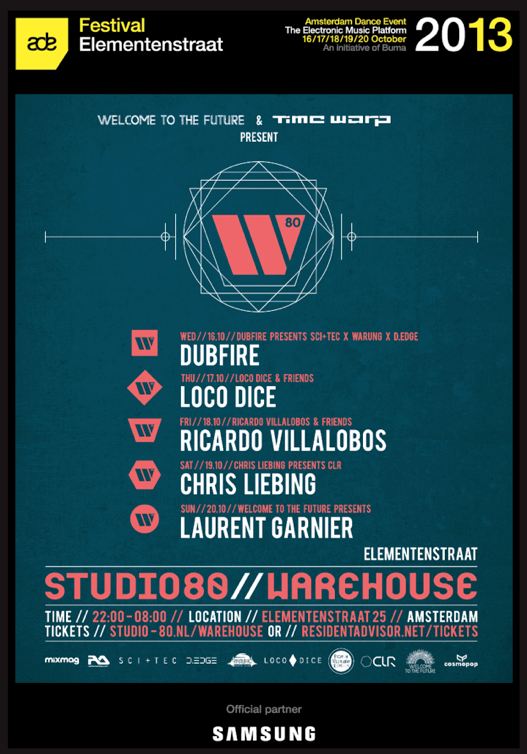 For the Amsterdam Dance Event 2013, Welcome to the Future, Time Warp and Studio 80 are breathing new life in to the Elementenstraat warehouse, bringing you the S80 Warehouse: five days of parties.